NaimUniti gets an HD audio upgrade | What Hi-Fi? 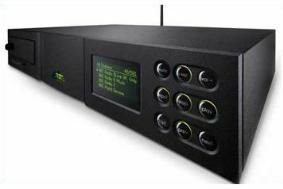 That includes the high-resolution audio available for download from Naim's own record label, among other sites. The company says that all NaimUnitis shipped in February have the latest firmware, Version 2.00.00, and says that owners of older units should contact their dealer to make an appointment for the update. The update process "requires a part RS232 and part browser connection and takes around 20 minutes to complete once set up." In addition, some other operational improvements have been made: radio presets now work regardless of the input selection, there's Unicode support for improved handling of Chinese and Cyrillic languages, and other minor changes improve performance and consistency of operation.